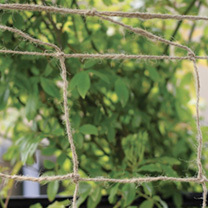 This robust 100% biodegradable jute netting is perfect for supporting peas and beans and other climbing veg or flowers. 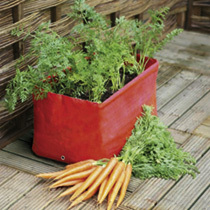 And you can just throw it on the compost heap after use! Measures 2m (6'6) x 5m (16'5). 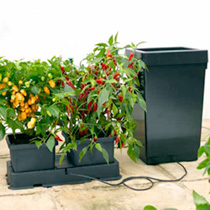 Add extension kits to feed and water up to 6 pots from one 47 litre tank. 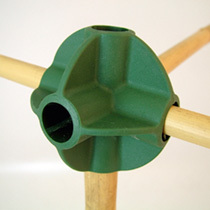 Extension kit comprises 'Aquavalve', 2 pots, tray, irrigation pipe and 'T' connector. 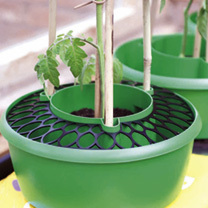 These prevent dead leaves and foliage from falling into the reservoir and stop pets and wildlife drinking from it. Diameter 27cm (103/4). 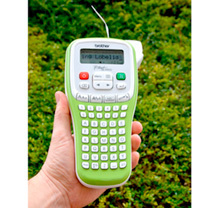 The perfect gadget to ensure that your plants, pots and seed trays are clearly labelled and easy to identify. 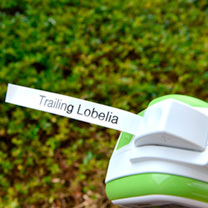 Lightweight and easy to use, the labels it produces are long-lasting and designed to withstand the demands of the great outdoors! Amongst the best watering cans available, with an all brass rose, perforated for a gentle spray. Made of high density polythene they are strong, well balanced and easy to carry. Capacity 7 litres (1 gallon). Spout length 40cm (16). 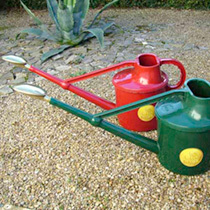 GREEN..
Amongst the best watering cans available, with an all brass rose, perforated for a gentle spray. 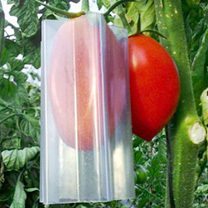 Made of high density polythene they are strong, well balanced and easy to carry. Capacity 7 litres (1 gallon). Spout length 40cm (16). RED.